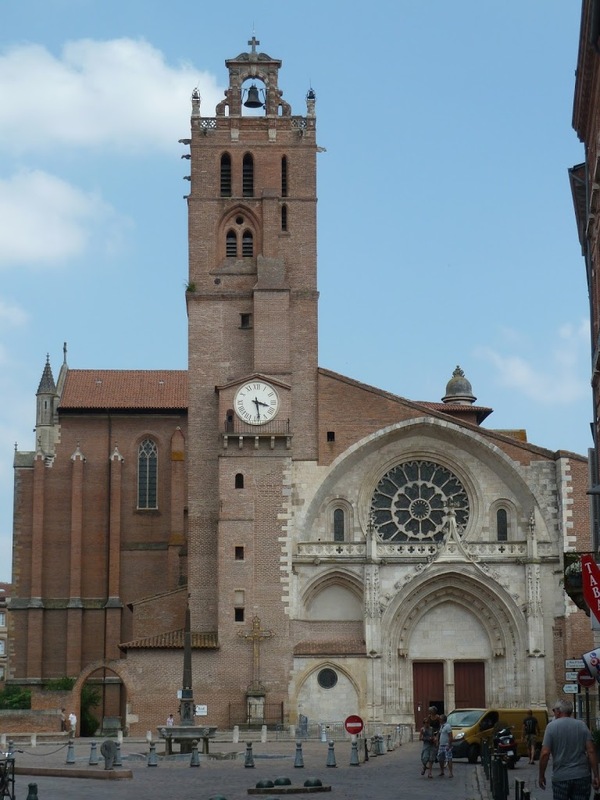 So on our way to Toulouse yesterday, I dragged the family unit on a modest pilgrimage to the small town of Moissac. 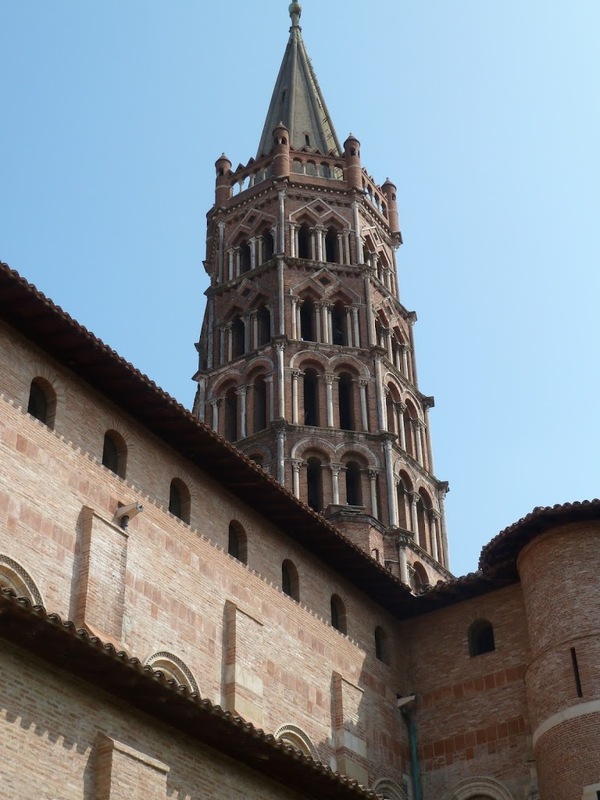 Moissac is home to an abbey renowned for its medieval sculpture and architecture. 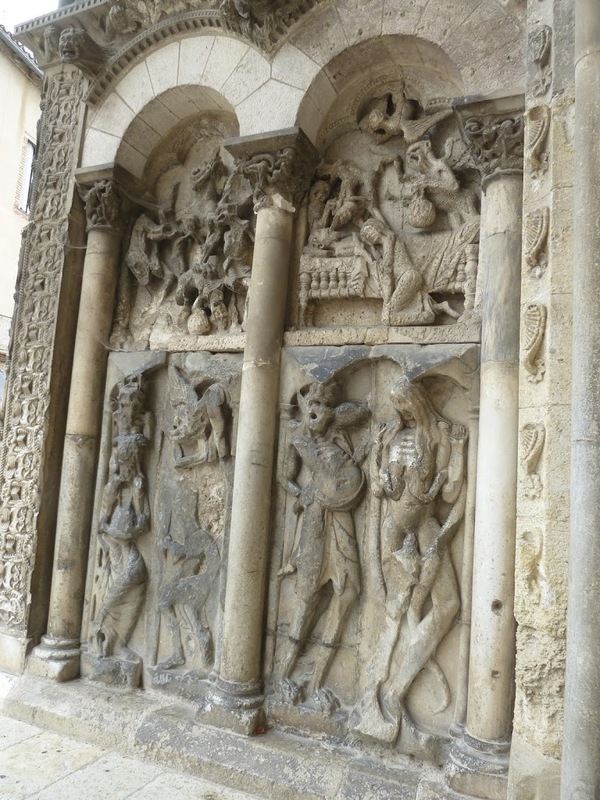 I studied the abbey as an art history student in college, but until yesterday had only seen it in photos and sculptural reproductions. Finally viewing the site up close and with my very own, albeit piss-poor, eyes was a huge treat for me. 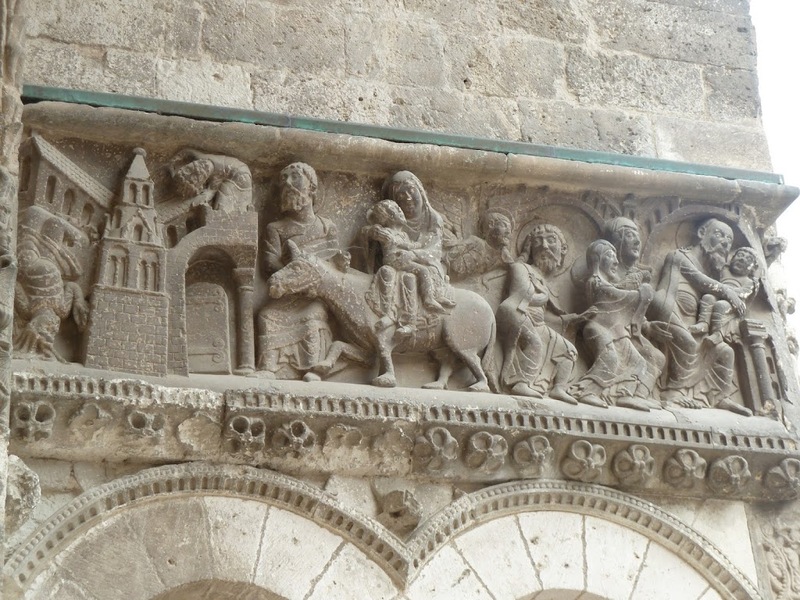 The ornamental sculptures on the abbey buildings are marvels of medieval (11th century) art. Recounting biblical stories for the benefit of the illiterate masses, the three-dimensional images are simultaneously primitive, diabolical, naive, sincere and emotionally gripping. The architecture itself, a combination of Romanesque and Gothic styles, is also visually arresting. 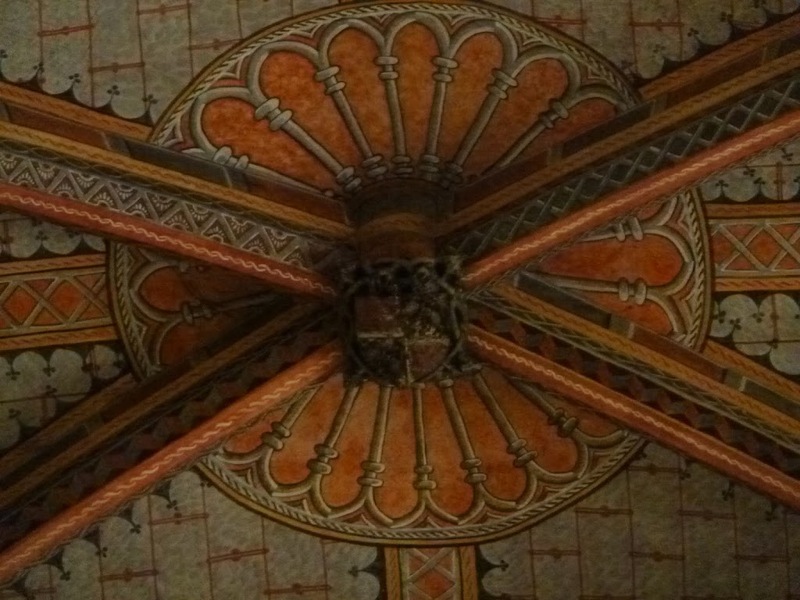 The photo below shows the beautiful ribbed vaulting in the ceiling of the church. 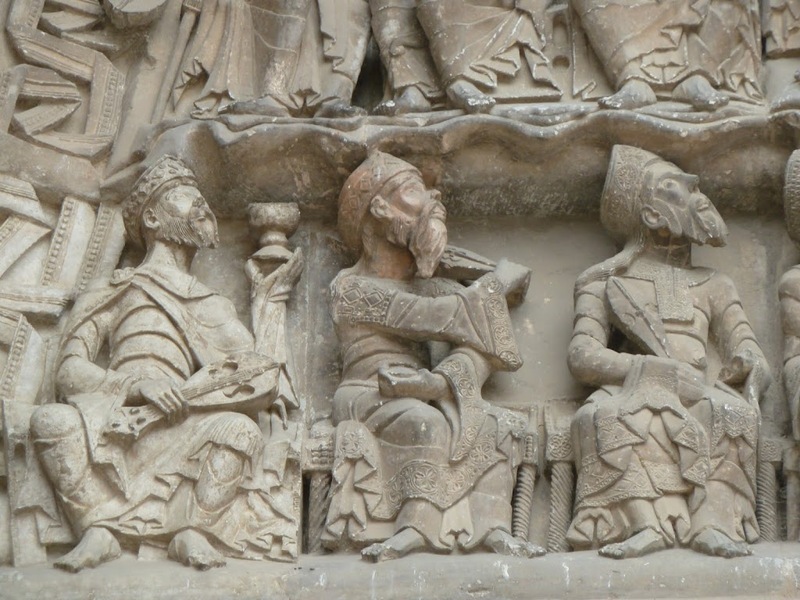 I loved studying art history in college and at one point considered obtaining a doctorate to become a professor. But for various reasons I didn’t pursue that path, which I’ve never regretted because my life has been pretty wonderful ever since. But I felt a small pang of “what if” yesterday – for the first time in years – as I contemplated the art before my eyes. 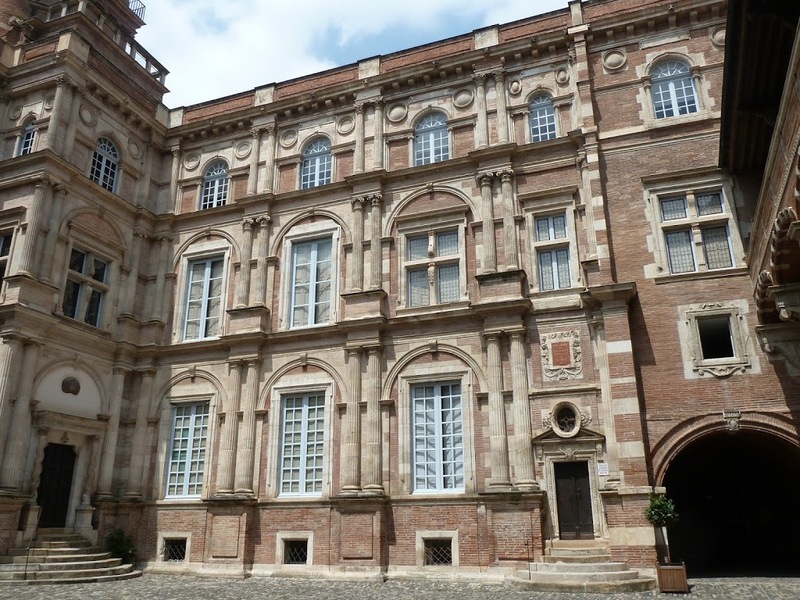 Continuing our foray into the world of medieval architecture, Chloe and I visited Toulouse today, aka the “Pink City” because so many of the buildings are made of brick, which reflects a pink hue in the right light. I took Chloe on a walking tour of the old city, in which different eras of art and architecture come to life, sometimes in the same building or on the same street. Chloe was in a particularly receptive mood today and graciously indulged me as I explained the contrasts among Romanesque, Gothic and even Rococo styles as interpreted by southern French artisans of the time. I take it my tutorial was somewhat successful; by the end of our visit she was able to point out some of the differences herself.